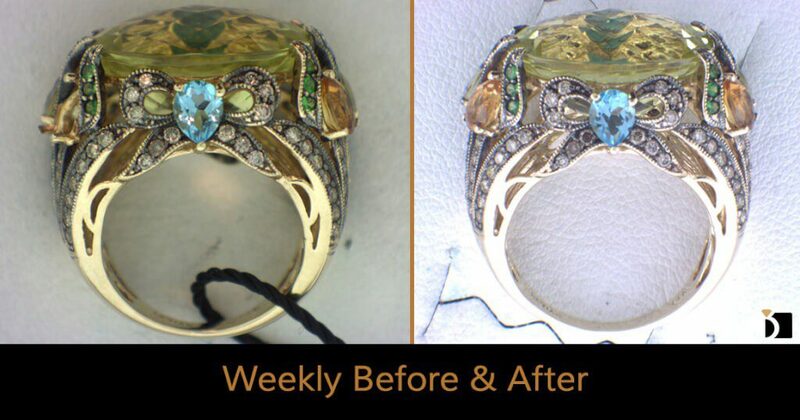 On this edition of the Weekly Before & After, we have an amazing 14K Gold LeVian Gemstone Ring with a missing stone and needing to be re-sized. It is then wrapped up with a clean and polish and there we go! Ornate rings with this many gemstones require a skilled jeweler especially when it comes to sizing. Like the results? Leave A comment! See you on the next Weekly Before & After!